Red Square, Bolshoi Theater, Chistiye Prudy, Alexander Garden - famous places in Moscow. As you have noticed, the names of these places consist of two words - adjective and noun. 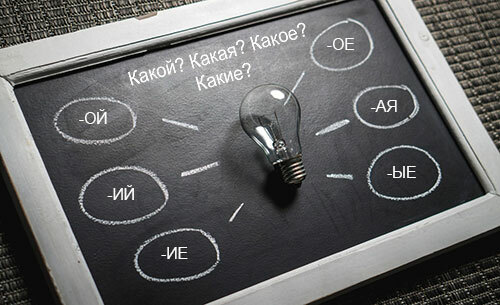 Adjectives in Russian language answer questions Какой? Какая? Какое? Какие? (What?) and Чей? Чья? Чьё? Чьи? (Whose?). The form (gender, number and case) of the adjective depends on the form (gender, number and case) of the noun. Let's begin with the endings of adjectives in the singular and plural in the Nominative case. Most adjectives in the masculine gender end with -ЫЙ, but if the stress falls on the ending, it will be -О́Й. And if before the end you see the consonants К, Г, Х, Ж, Ш, Ч, Щ, then after them there can be only the ending -ИЙ. Adjectives of the feminine gender end in -АЯ. 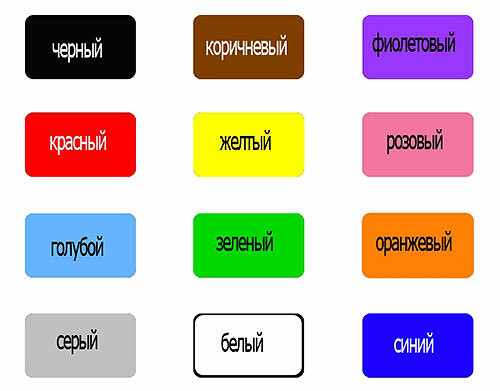 The adjectives of the middle genus distinguish the main ending -ОЕ and the ending -ЕЕ after the consonants Ж, Ш, Ч, Щ. BUT if the stress falls on the ending, it will be -О́Е. In the plural, most adjectives end in -ЫЕ. But if before the end you see the consonants К, Г, Х, Ж, Ш, Ч, Щ, then after them there can be only the ending -ИЕ. These are the main endings of the adjectives in the singular and plural. In Russian, adjectives with a soft version of the ending have -(н)ИЙ, -(н)ЯЯ, -(н)ЕЕ, -(н)ИЕ. And, by tradition, the task of training the material you have passed - connect the adjectives with the nouns.